It’s that time of year again. Time to eat and spend too much and regret it later, right? Well, maybe a little, but it’s also the time of year where we take the time to reflect on why we’re thankful for the blessings in our lives. For our business-lives, this also means being thankful for the many wonderful QuickBooks Online features! In our latest #QBOchat, we focused on the features we’re fortunate to enjoy. Their open API supports third party app developers, making them just another part of the family. This welcoming and supportive attitude allows us the convenience of large assortment of mobile apps, often created by users who are just as passionate about QBO as we are. Even from remote locations, we are able to establish collaborative work environments with our network of trusted advisors, clients and CPAs. We are thankful to be able to connect with other users, accountants, developers and Intuit employees who “geek out” with us weekly on #QBOchat. QBO regularly rolls out upates and improvements. Just recently, Revel Systems and Intuit created a new POS solution. Being a cloud-based system, we’re able to peak in on the latest and greatest developments. QBO now has true cash basis reporting rather than A/R, A/P on cash basis, which makes many of us very happy. One of our fellow Twitter participants, Mary Longacre (@thinkx2), is especially thankful for the bank feeds and we agree wholeheartedly! 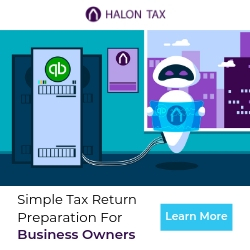 Personally, I am thankful for QBO’s income bar. The income bar allows users to drill down sales from estimates to paid invoices. Additionally, auto-emailed memorized reports are a beautiful thing. QBO makes it so easy, I can practically work in my sleep when going global with country-specific editions, and I’m able to be more collaborative with my clients in a timely manner. Since many QBO users are novices when it comes to accounting, they’re particularly thankful for QBO ProAdvisors. 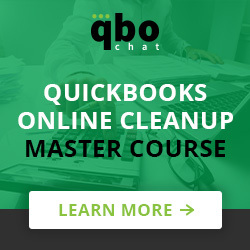 Even newbies can work in QBO like pros with their help and become QuickBooks Online Certified. Users can even receive advanced certifications to indicate level of expertise.